Third section on Vayikra, in Ladino with Hebrew introduction. Illustrated cover with wood engraving of Moses and Aaron and David and Goliath. 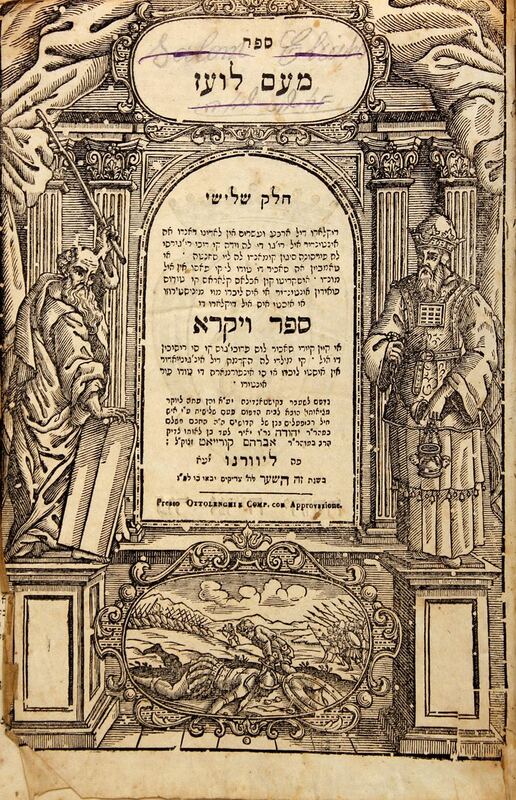 Page after the cover has the symbol of the family of the publisher, Rabbi Yehuda Koryat, the lion cub of Judah. Ottolenghi printing. Binding and pages partially disconnected, stains. Dedication in Ladino. 2, 175, 32cm. Generally ok to good condition.